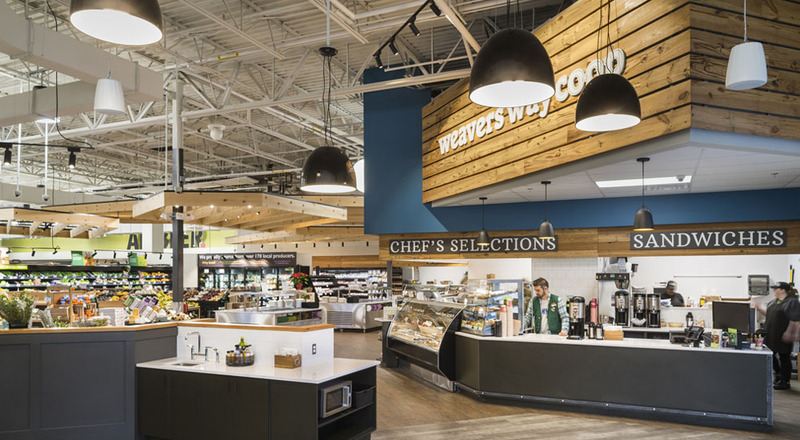 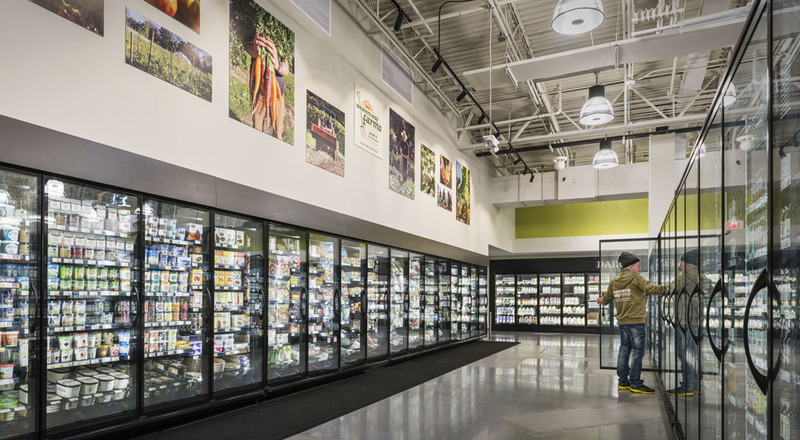 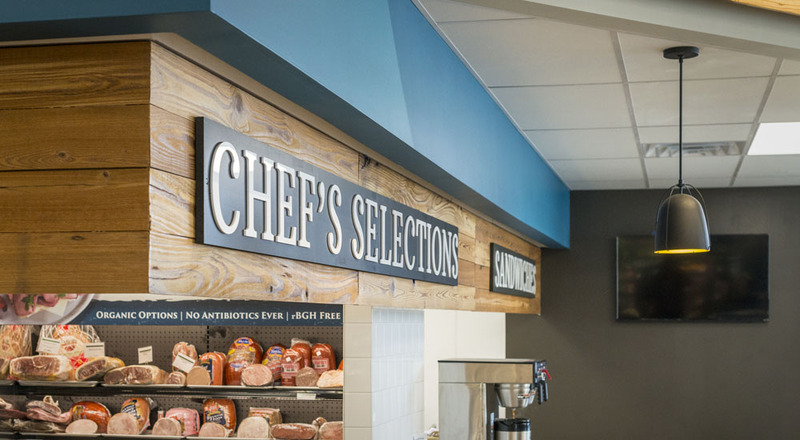 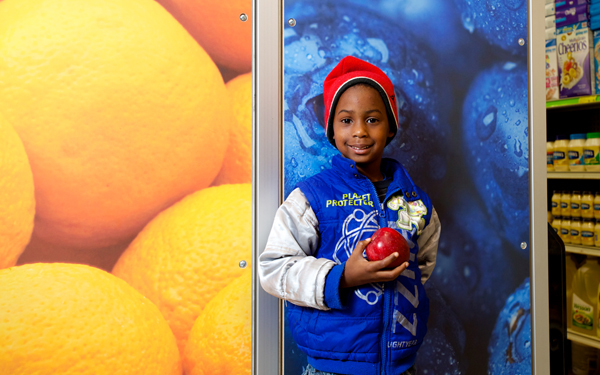 When Weavers Way Co-op discovered a nondescript big-box store up for grabs in the heart of Ambler, Pennsylvania, they jumped at the opportunity to create their largest and most appealing grocery store yet. 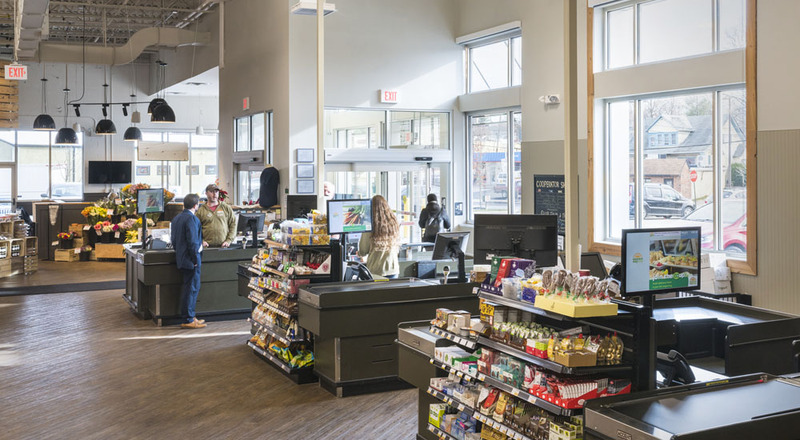 The Strada team, having previously designed the Co-op’s Mt. 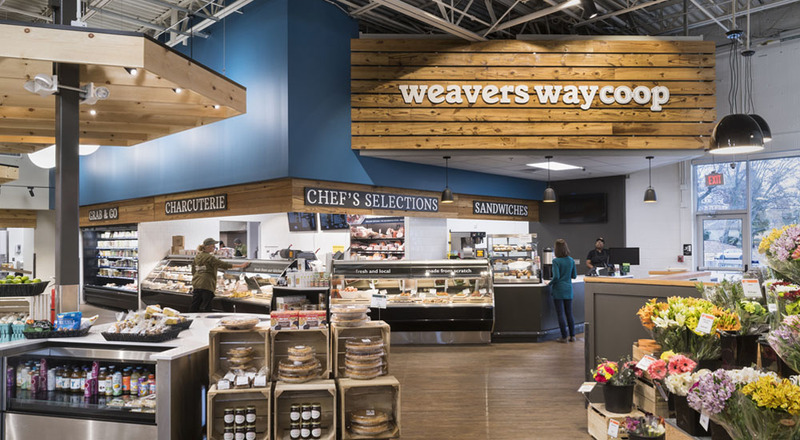 Airy location, worked with Weavers Way to create this welcoming hub of food and community spirit. 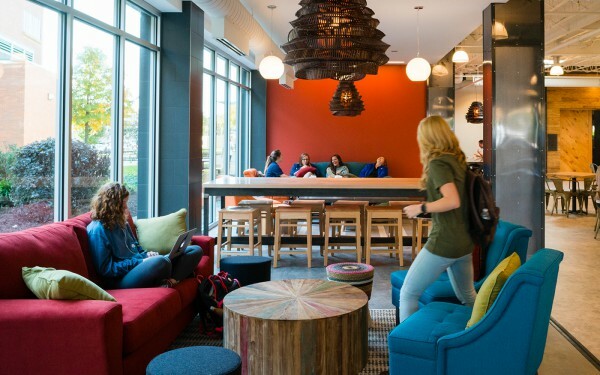 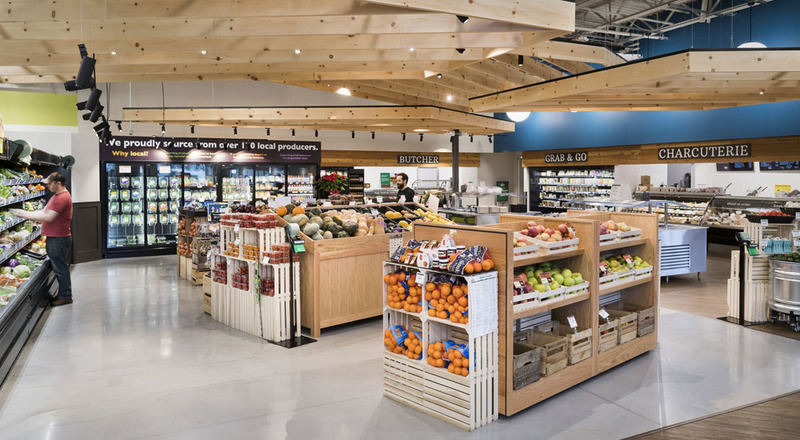 Inside the store, shoppers find a full-service kitchen, a bright cafe, and abundant space for fresh and prepared foods, while a mezzanine removes store offices from the shopping experience. 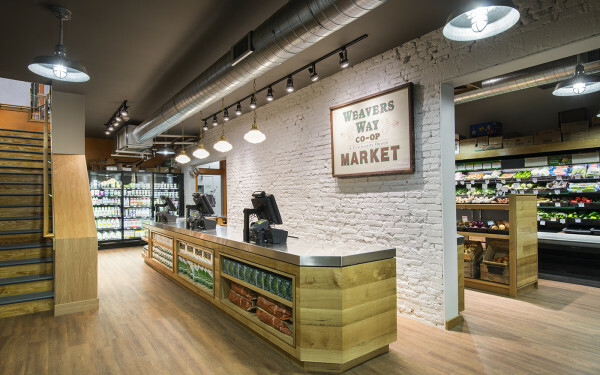 The use of local reclaimed wood, a bright color palette, generous skylights, and custom display cases differentiate the interior from that of the average large grocery store. 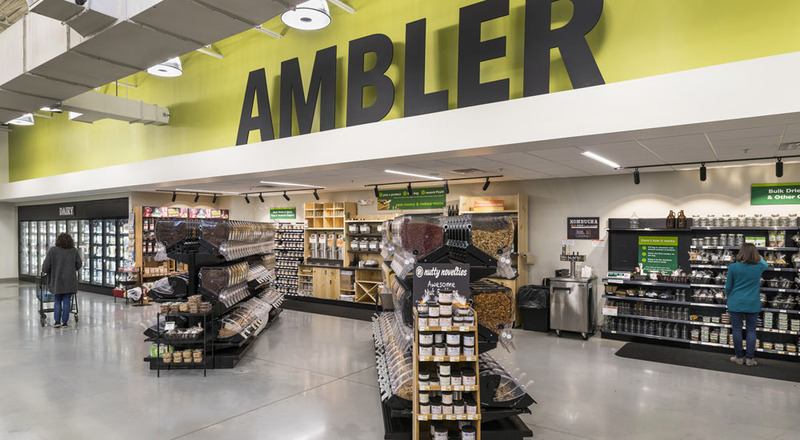 Outside, the building received a new façade treatment, distinct signage, and additional windows, enhancing its presence as a new anchor of Ambler’s retail corridor.